This is definitely one of my family's favourite lunches. It's a great, weekend lunch or even dinner entree at our house. 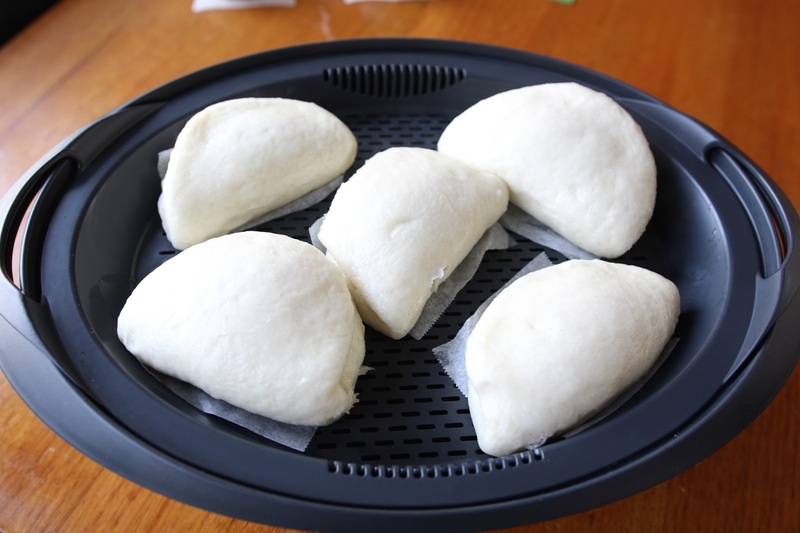 I usually have the carrots and daikon pickled in less than 10 minutes, ask a family member to pick up a Peking duck from any good Chinese restaurant, then quickly prepare the steamed buns. 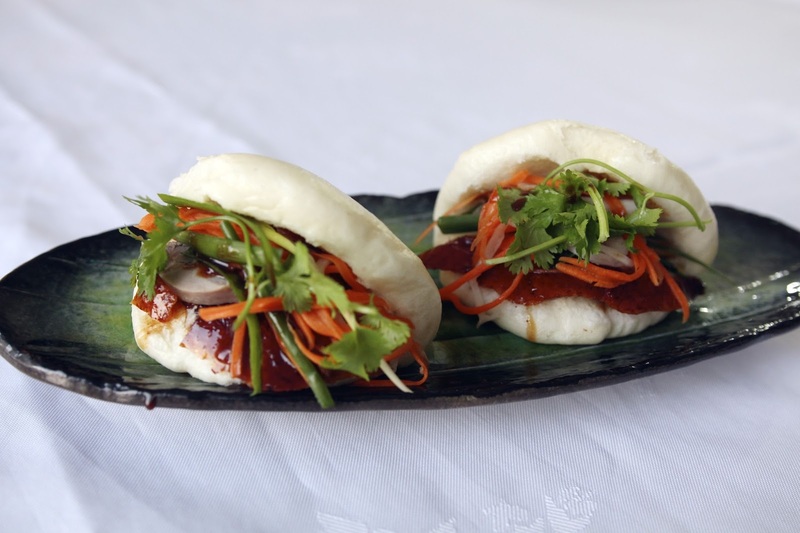 The recipe looks daunting but there are only three elements to the dish - the pickled carrots and daikon, steamed buns and then filling. Easy! *Ultra white flour can be purchased at any Chinese shop. You can use plain flour but it will give the dough a slightly yellow appearance. - Add remaining ingredients and mix together on speed 5 for 10 seconds. - Pour 1500g hot water into TM bowl then steam for 12 minutes on varoma temperature, speed 4. 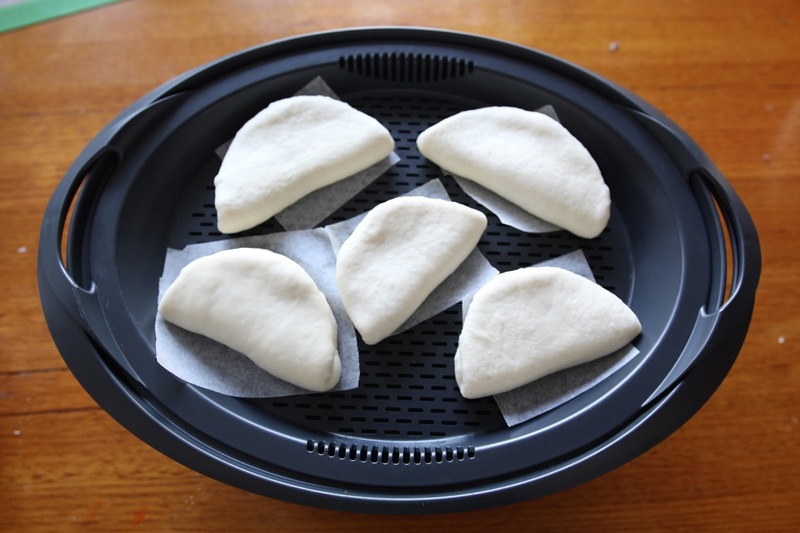 - Roll each dough portion into a circle of 10cm in diameter then fold the dough into half circle and place each dough portion onto a baking paper square.